The last of the decade’s comedy greats and some are definitely greats so please enjoy reading. The films on the list are the best of the best and deserve your laughs. So please read on. This is an absolutely fantastic story with heart and makes you laugh constantly. Andy Stitzer (Carell) is a cheerfully geeky guy who is settling into middle age. Andy works in an electronics store, and seems reasonably happy with his life. However, one day his friends and co-workers David (Paul Rudd), Jay (Romany Malco), and Cal (Seth Rogen) discover that Andy has a secret — due to his rather severe jitters around women, Andy is still a virgin. Andy’s pals are appalled at this state of affairs, and set out to find a woman who’d be willing to get horizontal with him. Tim’s Film Reviews Recommended. Best review “The movie belongs to Carell, who takes a one-joke role and turns him into a three-dimensional human being.” Ethan Alter. This is Steve at his best when he can make you feel like his character is a real person and make you laugh like a person who’s silly in the head. I honestly can’t pick a favourite moment but closest would probably be the bad date with drunken blonde girl which was very funny. 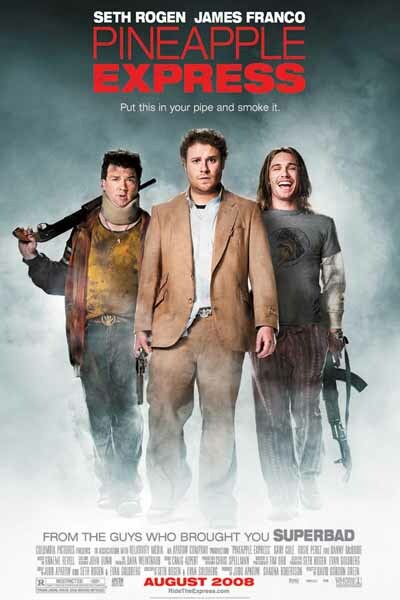 Funny, this loose-knit action/buddy/stoner comedy bridges the genres and keeps a steady hand of low ball laughs. Action-flavoured buddy comedy concerning two pot-smoking friends (Seth Rogen and James Franco) who unwittingly become involved with a vicious gang of drug dealers. Judd Apatow and Shauna Robertson produce a script co-penned by star Rogen and Evan Goldberg. Tim’s Film Reviews Recommended. James Franco is quickly becoming one of my favourite actors to watch in films because he is a good actor who seems to have a great grasp of comedic timing. Best review “A stoner movie that isn’t stone-cold stupid. Rogen and Franco make the best stoner pairing since Jay and Silent Bob.” James Plath. I do find a stoner comedy scene to be stupid most of the time but this was the exception with the great story and actors chosen. Best scene would have to be the car chase because it was the funniest skit of the whole film chase scene I have ever seen. 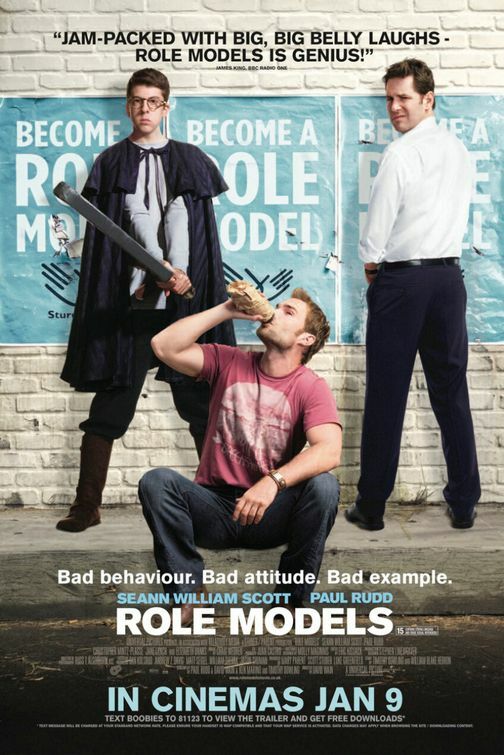 ‘Role Models’ is a frequently crude, but always funny comedy with this great cast providing solid acting throughout. A pair of irresponsible energy drink salesmen realizes that serving a month of hard time is nothing compared to spending 150 hours in a community mentorship program after they trash the company truck and find themselves at the mercy of the court in this comedy starring Seann William Scott and Paul Rudd. Tim’s Film Reviews Recommended. Best review “A great example of the Emotionally Stunted Men Grow a Heart sub-genre. Role Models stave off the January blues and put a marker down as 2008’s laugh-out-loud comedy.” Ian Freer. I do love comedies about emotionally stunted adults mainly because I am one and think there antics are a brilliant watch. My favourite scene would have to be the fantasy realm battle at the end because it was so funny and kind of makes you want to do one haha. Never seen a comedy about the after events of a bachelor party before but it worked in this really well to make a memorable comedy. 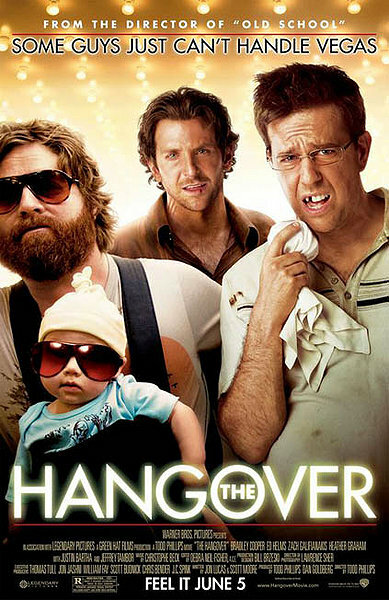 A blowout Las Vegas bachelor party turns into a race against time when three hung-over groomsmen awaken after a night of drunken debauchery to find that the groom has gone missing, and attempt to get him to the alter in time for his wedding, from the director of ‘Old School’. Tim’s Film Reviews Recommended. Best review “If the movies gleeful rush into areas of questionable comedic taste occasionally raises an eyebrow here and there, the end sequence will sear them right off.” Neil Pond. Love a joke in a review, the premise for this film is great and with brilliantly funny characters and actors it works well to bring in the laughs. Favourite scene would have to be them at the police centre where Alen gets stun gunned in the face. 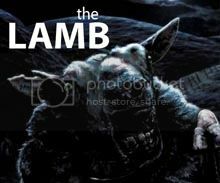 You either love it or hate it but I am absolutely one of the people who love this film. Will Ferrell & Mark Wahlberg are truly two of the funniest people on earth and work great together in this movie. A desk-jockey detective and his tough-talking partner get their moment to shine in this buddy police comedy starring Will Ferrell and Mark Wahlberg, and directed by Adam McKay (Anchorman: The Legend of Ron Burgundy, Talladega Nights: The Ballad of Ricky Bobby, Step Brothers) oh and of course the upcoming ‘The Campaign’. Tim’s Film Reviews Recommended. Best review “There’s a wealth of joyously berserk idiot humour, fusing slapstick and satire, surrealism and stream-of-consciousness improv into what could well prove the funniest movie of the year.” Tom Huddleston. It was the funniest of the year and deserves more praise than it got from views but what can you do I think it’s great and that’s all that matters. Best part would have to be when Ferrell’s character refers back to his former pimp self Gator. That’s one of the funniest scenes I have seen Will Ferrell in since ‘Anchorman’ when he said “I’m in a glass case of emotion”. 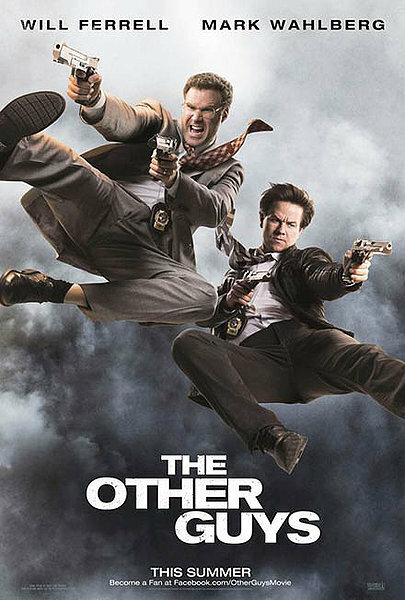 The Other Guys was funny and stupid, but again hilarious!! I never knew Mark Wahlberg could ever do comedies, but he did, and he was successfully awesome thanks to the help of Will Ferrell!! Sameul L. jackson’s and Dwayne Johnson’s characters were incredibly stupid!! Look around you!! Look at your surroundings!! THERE ARE NO BUSHES, why jump off a-10-20 story building, IF THERE ARE NO BUSHES!!! What hasn’t Apatow touched here? Perhaps THE HANGOVER and THE OTHER GUYS….you are a proud Will Ferrell fan! Great list! I can’t tell you how many times I watched “Role Models” when I bought the DVD. Thanks for checking out my blog! haha not everyone in germany is some kind of lunatic although alot of euro film is just wierd. As a suggestion, take a look at some older comedies like “Young Frankenstein,” “Animal House,” “Blazing Saddles,” “The Blues Brothers,” “Caddyshack,” “A Shot in the Dark,” “Rat Race” (though that’s not too terribly old), “Ghostbusters,” “Beverly Hills Cop,” “Groundhod Day,” “Dr. Strangelove,” “A Fish Called Wanda,” “Ferrris Bueller’s Day Off,” “Vacation,” “Raising Arizona,” “This Is Spinal Tap,” “Arsenic and Old Lace,” “Monty Python and the Holy Grail” (of course), “Airplane!” (possibly the funniest movie ever made), “A Night at the Opera” and some Preston Sturgess movies from the ’30s and ’40s that are still quite funny by today’s standards. The great thing about comedy is that it often transcends generations (as long as it doesn’t rely on cultural jokes that are meaningless to outsiders). I have seen most of them and have one thing to say wheres the carry on films? I’ve never seen them. I think they’re more popular in England than they are in the States, where it’s doubtful many people are familiar with them. Role Models and The Other Guys fo’sho! Didn’t really find the other three that funny. Far enough what would you replace them with? It’s hard to not be on the Will Ferrel fan bus, but I’d have to say Step Brothers is one of the funniest films of all time. Talladega Nights too. Then there’s Paul Blart: Mall Cop, and Tropic Thunder. They’re just the ones I’d rate.